Like her neighbors, Phor Rom lives in a home made of wooden planks and raised off of the ground in preparation for the floods in rural Cambodia. Her husband and three children all share the space. Unlike most of her neighbors, Phor Rom is a Christian. In Cambodia, only 3.2% of the population follows Jesus. When a local Christian pastor visited her and her neighbors, she learned about how caring for her own health might not be enough; she must help care for others as well. “The Bible says to love your neighbor as yourself,” she said. The transformation started in Phor’s home. Her marriage, previously bitter, began to experience a transformation. Phor Rom in her home, Svay Leu, Cambodia. That harmony soon spread to her village. 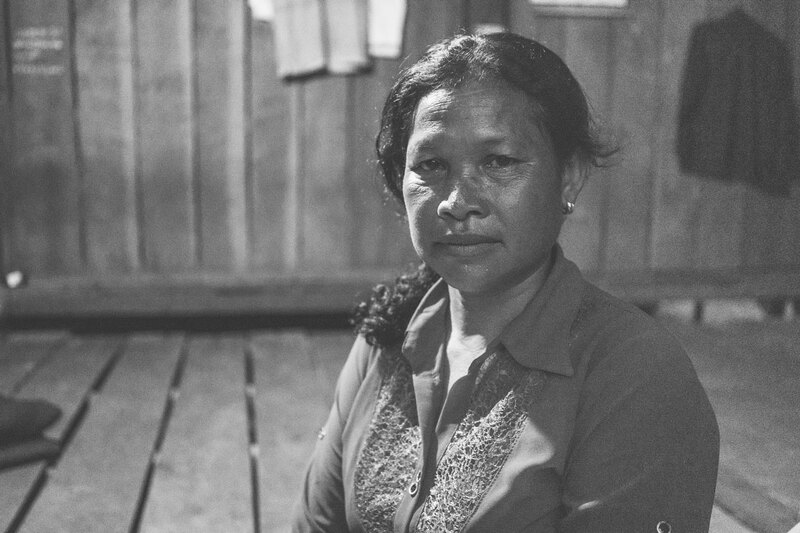 When Lifewater went to her community, Phor Rom became a health promoter and began to make life-saving sanitation and hygiene changes in her home. Last year, she built a latrine with the help of local Lifewater staff. She made a tippy tap to wash her hands, swept her home and threw away the rubbish, and made a drying rack for her dishes. She became one of the first healthy homes in her village. As a village health promoter, Phor is now helping 21 other families become healthy homes. In the process, two of her neighbors have accepted Christ. When we met with Phor, she asked us to pray for her. “Pray that even if I am persecuted, that I will still keep loving my neighbors,” she said. As we began to pray, Phor’s neighbor ran up and asked us to come pray over his family as well. 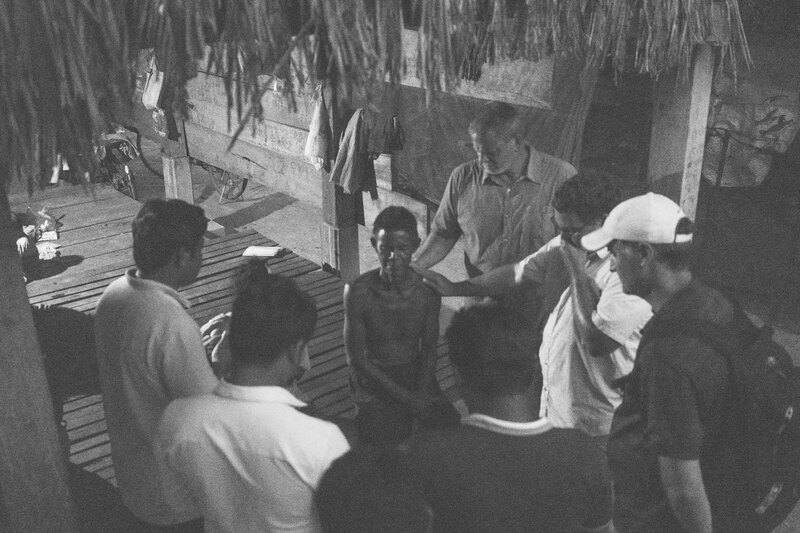 Lifewater staff and church partner (Dr. Roger Valci of Valley Christian Center Church) pray over Phor Rom’s neighbor. Jesus came to bring good news to the poor, and Phor and is just one of many in remote and rural parts of Cambodia who are experiencing this good news today.